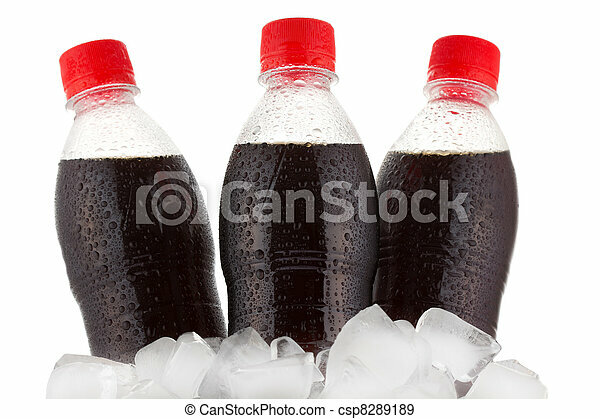 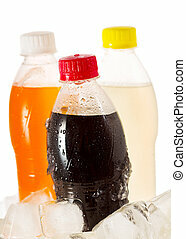 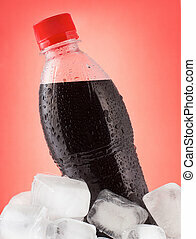 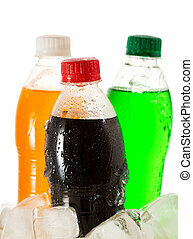 Bottles of cola in ice on white background. 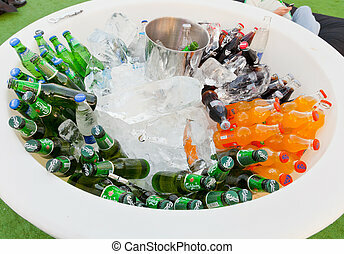 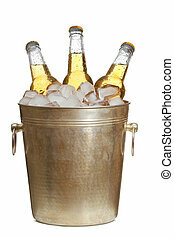 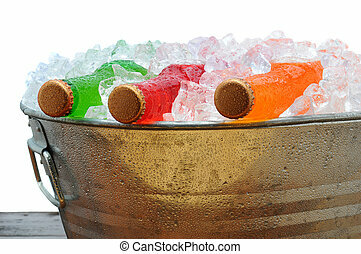 Close up of soft drink bottles in ice bucket. 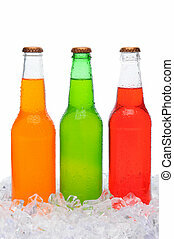 Closeup of four assorted soda bottles standing in ice with condensation. 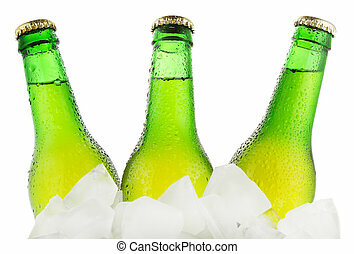 Horizontal format over a white background. 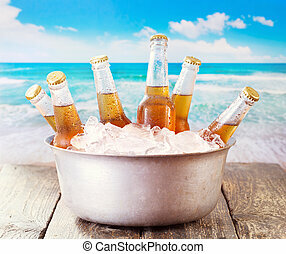 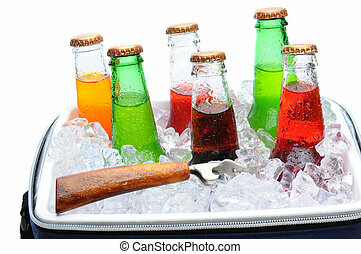 Assorted soda bottles in a cooler full of ice with bottle opener. 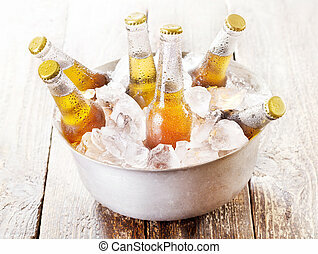 Horizontal format over white. 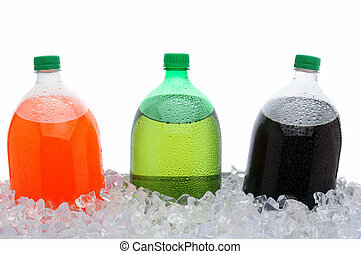 Closeup of three different soda bottles covered in condensation standing in a bed of ice. 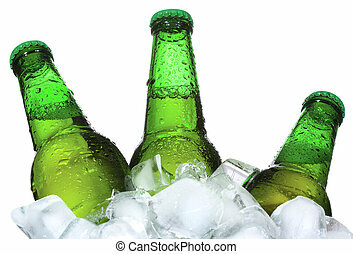 Vertical format over white. 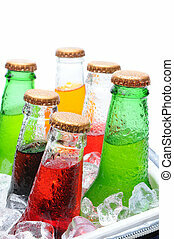 Closeup of six assorted soda bottles in an ice cooler with condensation. 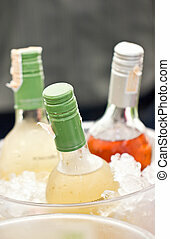 Vertical format over white with shallow depth of field. 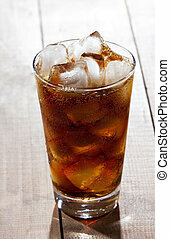 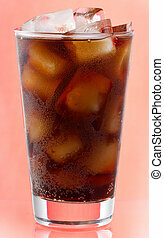 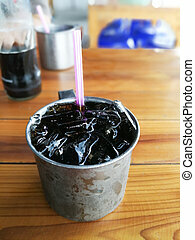 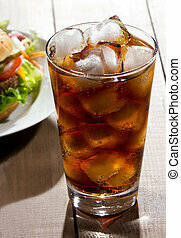 Close up cola drink wich ice in a glass of stainless steel. 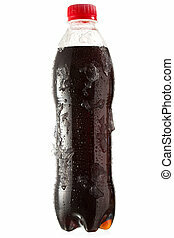 There is a pink and white tube inserted into the drink, placed on the floor wooden table. 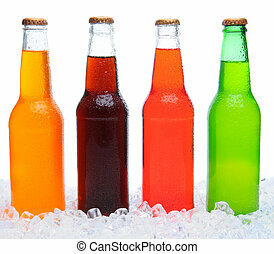 Select focus shallow depth of field. 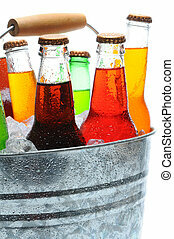 Closeup of assorted soda bottles in a metal party bucket filled with ice. 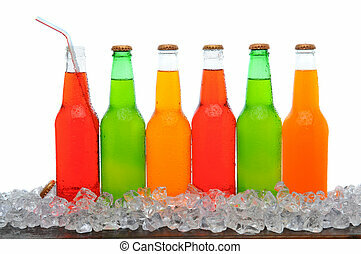 A line of assorted soda bottles standing in a field of ice cubes on a wooden table. 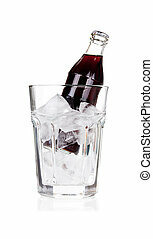 Horizontal format with a white background. 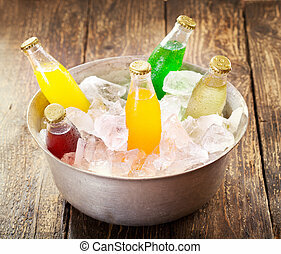 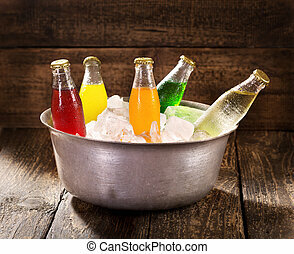 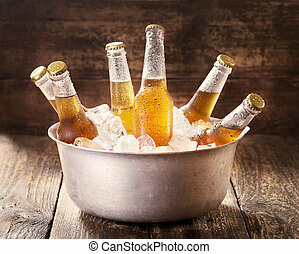 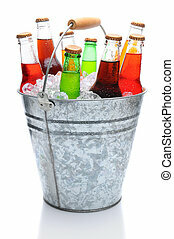 Closeup of assorted soda bottles in a metal bucket full of ice. 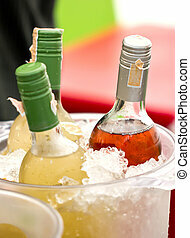 Vertical format over white.